Ever feel like eating a light snack while watching a movie? Then here’s a healthy alternative that you can whip up and enjoy instead of reaching for a bag of chips . What I’m talking about today is Fried Eggplant. 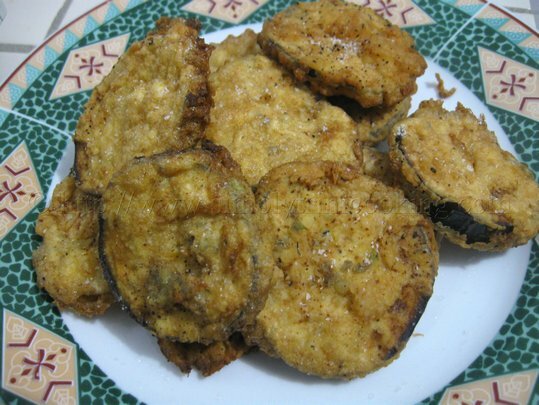 Fried eggplant ( Baigan, Melongene, Aubergine) is light, tasty and nutritious at the same time. 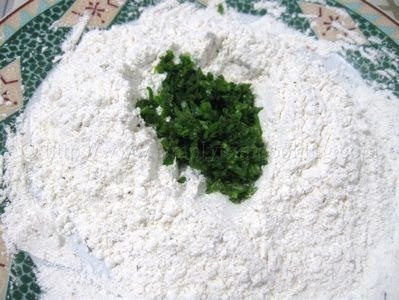 And based on my rumaging on the web, I found that it is great also if you want to lose weight, since it is low in Saturated Fat, Sodium, and Cholesterol. 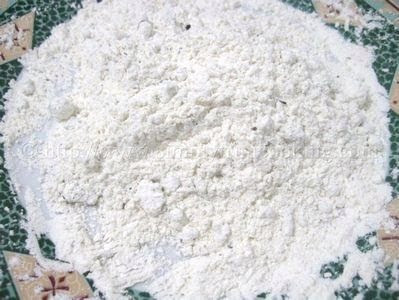 Among the many benefits, I may also add that it is high in Dietary Fiber, Folate, Potassium, Manganese, Vitamin C, Vitamin K, Thiamin, Niacin, Vitamin B6, Pantothenic Acid, Magnesium, Phosphorus and Copper. Now that’s a lot of reasons to be eating eggplant! 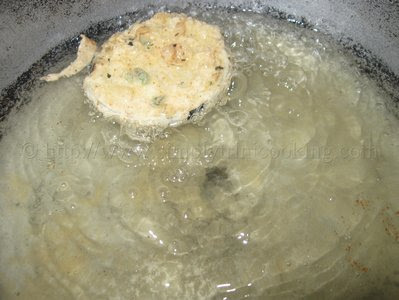 Since we are frying the eggplant, I thought it necessary to know a few facts about frying, so that you could make the perfect fried eggplant that your whole family will love. The best article I found, that also helped me when I was doing this recipe, could be found here. It’s a good read, so much so, that I will have to keep it close by for reference; especially to know the smoke point of various oils when I’m cooking. By the way, do you know that coconut oil has a smoke point of 350 degrees F? So now that you’re convinced of how healthy this snack is, and you’re armed with the secrets to frying; let’s start this eggplant recipe. Here’s Fried Eggplant (Baigan). 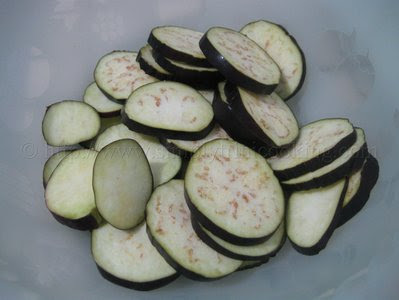 Cut the eggplant into 1/2″ thick slices. Set aside. 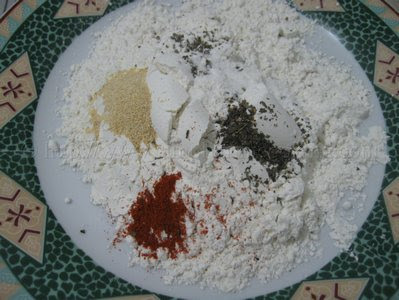 In a plate or bowl mix the flour or bread crumbs with the seasoning. Note: You could adjust the seasoning to your liking. Feel free to add more chadon beni and chive! 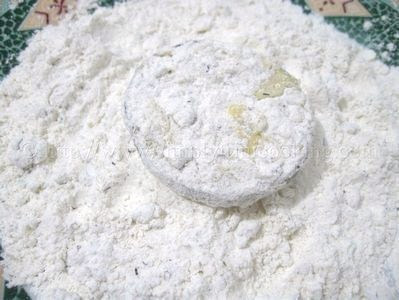 then in the seasoned flour and set aside for about 5 – 10 minutes. Then heat the oil over a medium flame and add the eggplant slices. Fry, on both sides, until golden brown and drain on paper towels. 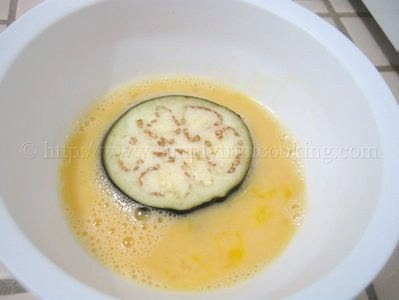 Sprinkle a little salt over the fried eggplant and / or serve with your favourite dip. There we have it; simple but tasty fried eggplant. A recipe anyone could try. 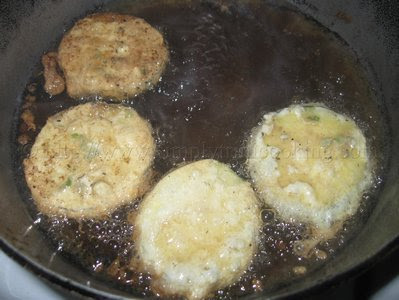 So while you’re enjoying your fried eggplant I am going to organise another trini recipe for you. See you soon. Bye! P.S. 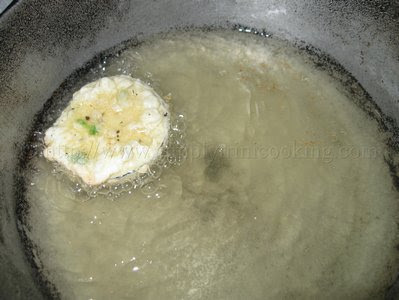 If you’re interested, I did another eggplant recipe called baiganee that involves frying also. Omit it and use milk or buttermilk.